Nuance can help your business deliver world‑class, differentiated experiences. Powered by AI. Focused on your customers. New channels create new touchpoints and new opportunities to engage—all while consumer expectations continue to soar. At Nuance, we’re deeply committed to transforming the customer journey into an experience consumers love. Leading organizations worldwide rely on our intelligent offerings to meet and exceed rising consumer expectations—from an ever‑growing array of devices and across all channels and touchpoints. These offerings leverage decades of innovation in speech, natural language and conversational AI to enable human‑like interactions and omni-channel engagements that combine assisted and self‑service, whether for customer acquisition or customer care. Nuance solutions are enabled by digital, voice, outbound and security products, all optimized using our powerful analytics tools. And all are deployed by the industry’s largest global professional services team—offering unparalleled vision, deep industry expertise and a proven track record in delivering success to organizations like yours. Whatever you need to satisfy you customers' and agents' demands, Nuance delivers. It's more than omni‑channel. It's EoT. Intelligent, automated offerings ensure your customers find answers quickly, while agent‑assisted interactions deliver personalized, relevant information for customers—on any device, anywhere they go. 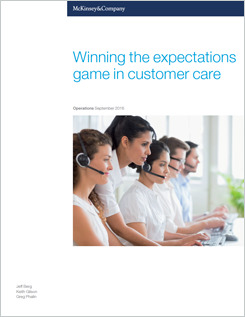 Reduce contact center costs. Experience better conversion rates. Save time for your company—and your customers. Your customers have many options when it comes to how they engage with your company. They expect easy and seamless ways to get what they need from initial research, to sales, and on‑going support. But too often they’re left feeling lost and confused, since many of these channels operate in silos, resulting in repetition and wasted time. Their frustration is then instantly shared with millions of people! Your customers are smart, your channels need to be just as smart, providing personalized experiences that anticipate their needs by knowing where they are in their journey and delivering exactly what they want. Nuance technology can create these seamless, and easy connections through secure omni‑channel engagement, powered by Artificial Intelligence, continuous analysis and optimization through machine learning, and backed by Nuance’s decades of experience delivering award‑winning customer service solutions. The result? Your company delivers secure experiences that are smart and fast, all while helping you keep costs in line. Your customers become more empowered and more loyal. 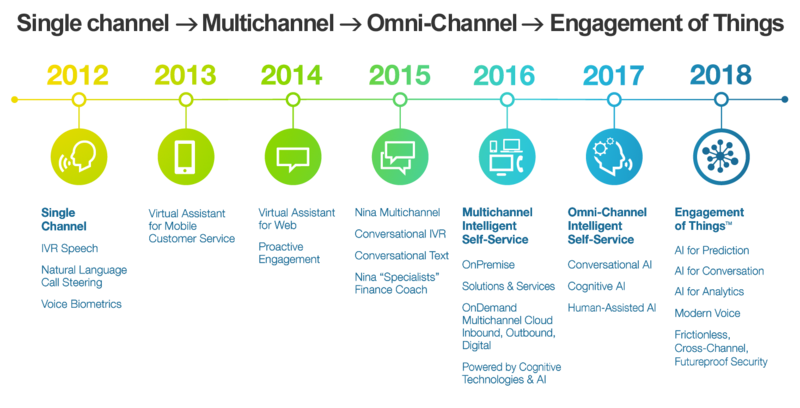 No matter which industry you’re in, the Nuance omni‑channel engagement portfolio can help you reach your customers anytime, anywhere, in the channel of their choice. Don’t just chase your customers along their journey. Lead them.... with smart solutions powered by AI that orchestrate every search, question, or purchase. Create seamless, easy, and personalized omni‑channel experiences that your customers will love. Deploy the right experience for the right customer at the right time, no matter what channel they use. Help your business increase customer lifetime value and retain your customer base—all while reducing cost and churn. Target the right visitor with the right message at the right time—across all digital channels. Increase revenue, reduce cost and improve customer engagement by combining the best of automated virtual assistants and human‑assisted customer service engagements into one unified platform. Make the desire for intelligent, autonomous, conversational interactions a reality by enabling your organization to create interactive voice response (IVR) and speech solutions that sound almost human. Supercharge your organizations with Nuance next‑generation biometric security solution for fraud prevention and authentication. For more than 20 years, Nuance has partnered with thousands of companies around the world. We take a results‑focused approach to deliver customized solutions that solve your unique industry needs. Differentiate your business through unique personalization, enhanced security and creative strategies—even in the face of regulatory challenges. Reach your goals—from improving adherence and outcomes to enrolling and retaining members—through cost‑efficient, intelligent automation. 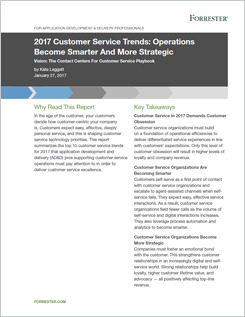 Deliver meaningful customer engagement across digital channels via intuitive self‑service—beyond just payment reminders and outage alerts. Maximize ROI on taxpayer dollars while providing easy access to the services and information people need, when and where they need it. Our AI‑powered solutions recognize human speech and language, interpret the meaning of words and data, and apply context and reasoning to each interaction. As the foundation of our automated self‑service IVR and contact center solutions, ASR enables customers to interact with systems just by using their voice. NLU delivers a more conversational, intelligent self‑service experience by learning and adapting to a customer’s natural input. Creating a holistic conversation with your customers delivers real results. After just five months of operating with an integrated, multi‑channel customer service strategy, American Airlines reported positive passenger feedback and extraordinary results. Learn more about our Nspire program and hear what our customers have to say!